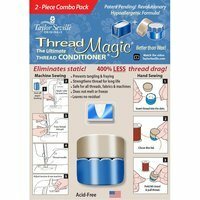 Thread Magic is the end-all be-all for thread conditioners. 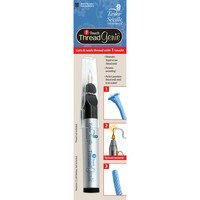 Conveniently packaged in an easy-to-use, round container, Thread Magic is safe for all types of thread, fabric, and machines. 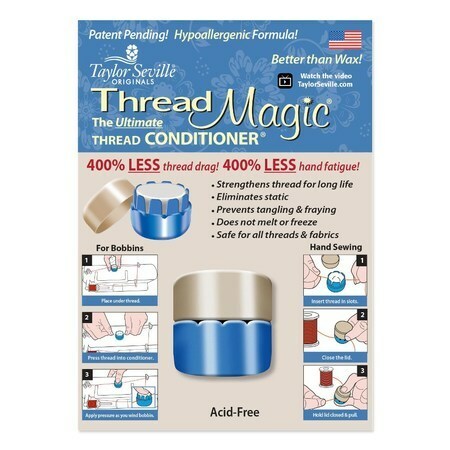 This specially formulated, hypoallergenic, conditioner prevents threads from fraying and tangling; strengthening it and extending its life. 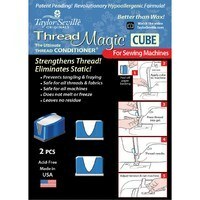 Thread Magic does not leave behind residue and will not melt or freeze. Made in the USA.